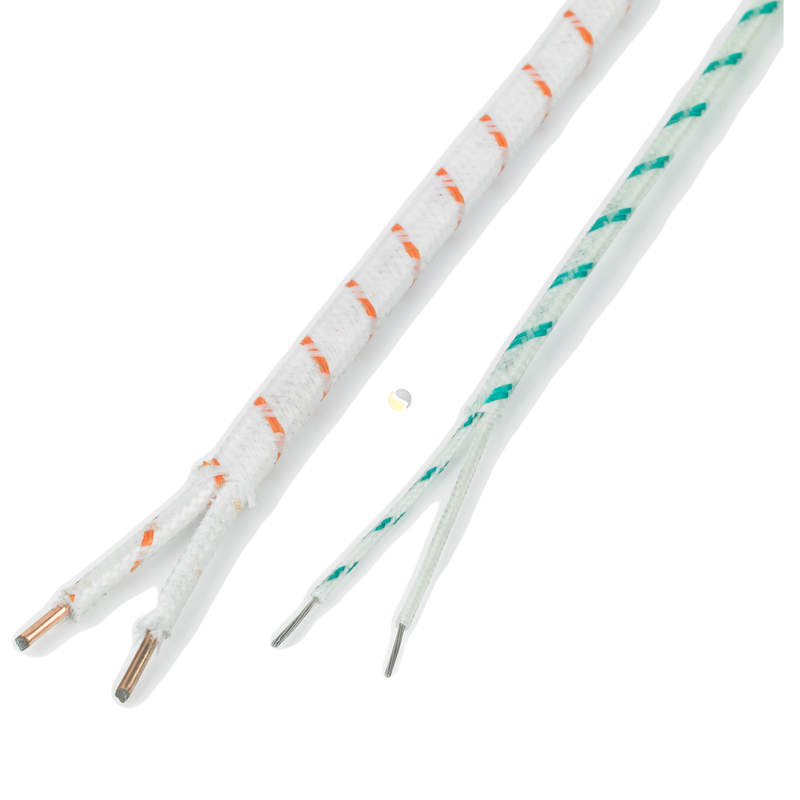 Single Pair, high temperature fibreglass extension and compensating cable. 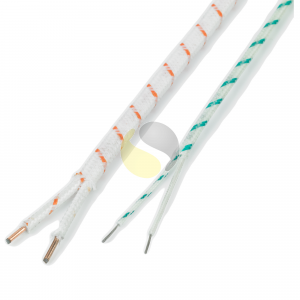 High temperature flat pair extension/compensating cable is available in thermocouple type K or R. Supplied in high temperature glass fibre for use up to 800°C with IEC584 colour coded insulation. Conductors are solid 1/1.2mm for type K and 1/1.3mm for type R.
Commonly used in molten metal instrumentation and application due to its resistance in high temperature environments. 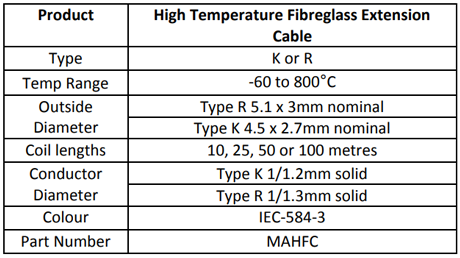 The type K material can also be made into expendable wire thermocouples for a variety of applications. 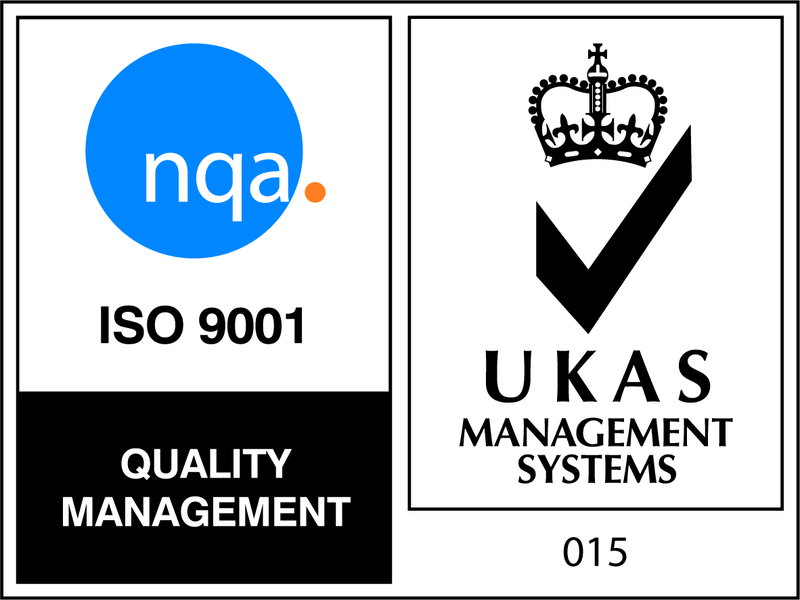 Full thermocouple colour codes and temperature ratings can be viewed in our technical reference section.